I own a strange collection of books that were handed down to me from my aunt and uncle many years ago. They had bought the set for their children, but the books appear untouched, unopened – like a well-preserved archaeological artifact. They are big, bulky, heavy books that take up precious real estate on the bookshelf. Finally, this week, I pulled a few off the shelf to study them – and boy am I glad I did not give into my usual Marie Kondo-tendency to chuck and declutter. This 54 book collection, which includes 443 works by 74 authors, is called Great Books and was published by Britannica in 1952. Mine is a 1980 print. The first volume in the collection is called The Great Conversation: The Substance of a Liberal Education by Robert M. Hutchins, and it explains the origin and the purpose of the collection. The tone of the Preface is notable. [T]he disappearance of great books from education and from reading of adults constitutes a calamity. In this view education in the West has been steadily deteriorating; the rising generation has been deprived of its birthright; the mess of pottage it has received in exchange has not been nutritious; adults have come to lead lives comparatively rich in materials comforts and very poor in moral, intellectual, and spiritual tone. And since we’re in the middle of what has now become a never-ending election season (like Macy’s one-day-sales), allow me to also include this long excerpt. We believe that the reduction of the citizen to an object of propaganda, private and public, is one of the greatest dangers to democracy. A prevalent notion is that the great mass of the people cannot understand and cannot form an independent judgment upon any matter; they cannot be educated, in the sense of the developing their intellectual powers, but they can be bamboozled. The reiteration of slogans, the distortion of the news, the great storm of propaganda that beats upon the citizen twenty-four hours a day all his life long means either that democracy must fall a pretty to the loudest and most persistent propagandists or that the people must save themselves by strengthening their minds so that they can appraise the issues for themselves. It is true that every generation has words of warning for the “rising generation.” And these words of warning ring true today, two “rising generation[s]” later. The rest of this volume contains essays with titles like “Education and Economics” and “The Disappearance of Liberal Education”. In “A Letter to the Reader,” Hutchins reminds us that the editors are “not interested in general propositions about the desirability of reading the books; they want them read. They did not produce them as furniture for public or private libraries.” [see footnote] They see this as being near-panacea to alleviating the deteriorating condition of the modern mind. The real bibliographic achievement of this collection of books, though, is The Great Ideas: A Syntopicon, which are volumes 2 and 3 in the set (written by Mortimer J. Adler, also a philosopher). “Syntopicon” is a word that was invented to describe the indexing of big ideas and themes that are discussed in Great Books. Take “Citizen” for example. There is an overview/introduction essay which is followed by an outline of subtopics and the comprehensive listing of all “citizen” references from all of the works in the Great Books. [See photos in the gallery below.] So, truly, this is quite a feat. There is no doubt about that. When I sat down to write about this Great Books collection, though, my intention was not to celebrate the work of Hutchins and team. What I really wanted to do was complain about the lack of women in the collection. What – women didn’t write great books? In Great Books, there are no women. None. Nada. Nesunna. Aucun. Keiner. Not. A. Single. One. Nope. You see, I’ve been culturally conditioned to celebrate women’s history and achievements during the month of March so this was on my mind when I approached the collection on my shelf. (Had this been February, I might have been thinking about the lack of racial diversity in the collection.) Thankfully, the second edition of Great Books which was published in 1980s added 59 writers, bringing the total number of women represented in the collection to – drum roll, please! – 4: Jane Austen, George Eliot, Virginia Woolf, and Willa Cather. This collection was made by men for men. So, before I start hyperventilating, I remind myself that this collection is a cultural and historical artifact – that it represents a specific time of a particular place among a particular group of people with specific values. Sure, I get that. And, to be fair, Britannica continued to edit and add more works to each subsequent printings, by including more works not just from the twentieth century but also from earlier periods. As a snapshot in history, the original collection by Hutchins and Adler (two philosophers) tells an important story about inclusion and exclusion. Hutchins writes a detailed explanation about the selection process. For instance, he explains why the Bible was not included (it’s already in every American home), why the collection ends with Freud (did “great conversation” stop after 1900? ), and how each epoch or nation/language was represented (or not). I can’t help but to pause at these words: “I omitted Emerson, Whitman, Thoreau, and Mark Twain, all very great writers, because I felt that, important as they were, they did not measure up to the other books in the set.” What a strange thing to say about Emerson, Whitman, Thoreau, and Mark Twain. What would a debate about the merits of Emerson versus Pascal sound like? Mark Twain against Tolstoy? The Great Books is a celebration of Western thought. For sure. Yet, the sturdy binds of these 54 heavy-duty, pristine books from 1952 (via 1980) seem so permanent and inflexible, the opposite of what these Great Books teach us to do with our minds. It has not escaped me that my reaction reflects my own cultural experiences in an age of digital books and “knowledge” that is constantly edited and updated, not to mention knowledge that has become democratized so there is no clear line between producers and consumers of knowledge. I get it. How about something from Hypathia the mathematician and philosopher? The letters of Heloise to Abelard? Julian of Norwich – presumed to be the first book written in English by a woman? Queen Elizabeth? Some of those letters and speeches she gave are worth noting, no? Christina Rossetti? No poetry? Okay, fine. How about a bit of Aphra Behn? Oroonoko is a very short novel. Mary Wollstonecraft? What about her daughter, Mary Shelley? No? Not even Frankenstein? Wow. Okay. Then, Kate Chopin? I guess it’s still 1952 and The Awakening has not made its comeback yet. Never mind. Speaking of furniture… Given the nature of information-creation and -exchange today, folks like Farhad Manjoo think Britannica was “exploitative.” And today in the age of Google, Siri, and Wikipedia, the Britannica seems completely irrelevant. Even back then, in the 50s or the 80s, I wonder if these books were ever really used. And even as I’m writing this, I can’t help but to look up “Great Books Britannica” in Wikipedia. There, I find that Hutchins started the project with a 2 million dollar budget but when the books didn’t sell, the company turned to door-to-door sales, which Hutchins had feared. Wikipedia also informed me that the Federal Trade Commission found Encyclopedia Britannica guilty of deceptive advertising and sales tactics. So not only were they exploitative but also deceptive and guilty of breaking the law. 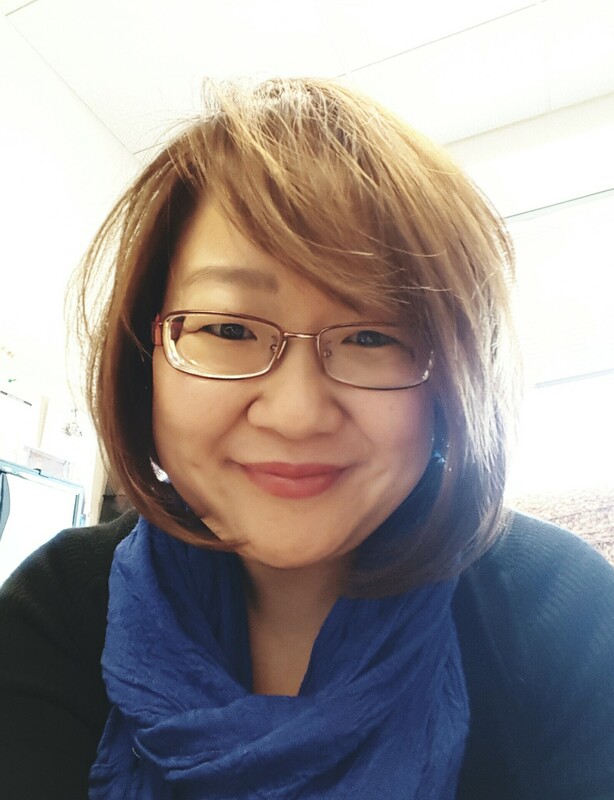 By Laura Yoo in Mana's Musings on March 11, 2016 .